This Aipa Riflescope works perfectly with your AR15 Rifles. It has high-grade fully coated optical lens’. It is also waterproof, shockproof, and fog proof. This tactical rifle scope is well suited for wide range shooting, with high optical clarity at 4-16 times magnification and a 50mm objective diameter. 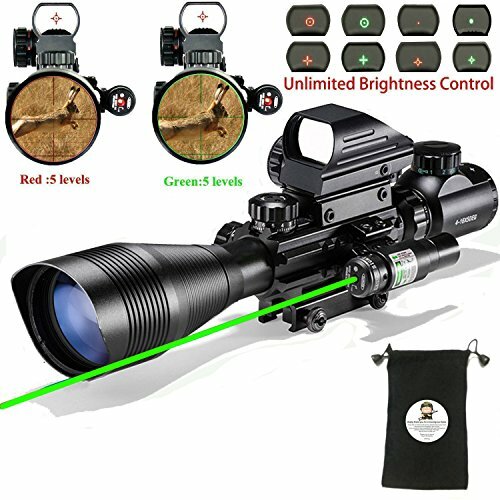 The scope and Multi Optical Coated reticles are illuminated in red or green and in multiple brightness intensities, for a suitable sight picture regardless of lighting or environment.